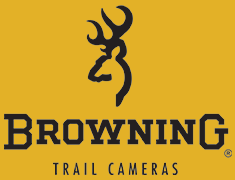 Browning Trail Cameras require a SD card as there is no internal memory. If upon powering your trail camera on, with a SD card installed, the cameras display screen lights up and begins flashing this typically indicates there is a problem with the SD card installed. The first step in troubleshooting is to turn the camera off and remove the SD card. Power the camera back on and the cameras display should read either "Please Insert SD Card" or "No SD Card" depending on model. If either message is displayed this is normal operation and further indicates the problem is SD card related. The second step in troubleshooting is to try another SD card that meets the recommendations for the trail camera. If another SD card is not available you may try formatting the SD card however, it is possible that if there is a defect with the SD card formatting will not resolve the issue and trying another SD card would still be the recommendation.